Selling advertising to businesses is complex. 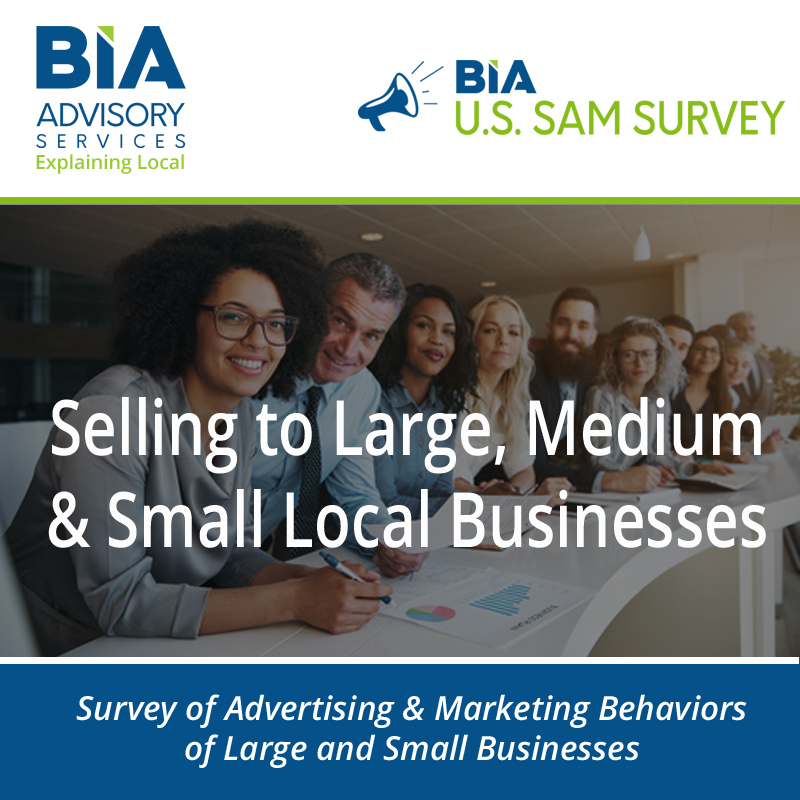 Using BIA’s proprietary data from the U.S. SAM™ Survey, this report explains key products and strategies for selling both traditional and digital advertising to local businesses of all sizes. It examines what businesses buy now and intend on buying and includes their budget for ad media. This report is key for sellers of all types of media working with businesses, including agencies. Filled with data and selling insights this report can help sales managers and teams perfect their selling strategies or uncover new product opportunities. Advertisers often use between 9-20 different paid media to reach customers and they are extremely focused on personalized, targeted communications. There’s a heavy obligation on ad sellers to successfully demonstrate how their channel reaches the right customers throughout the buying process in a manner that can be tracked. 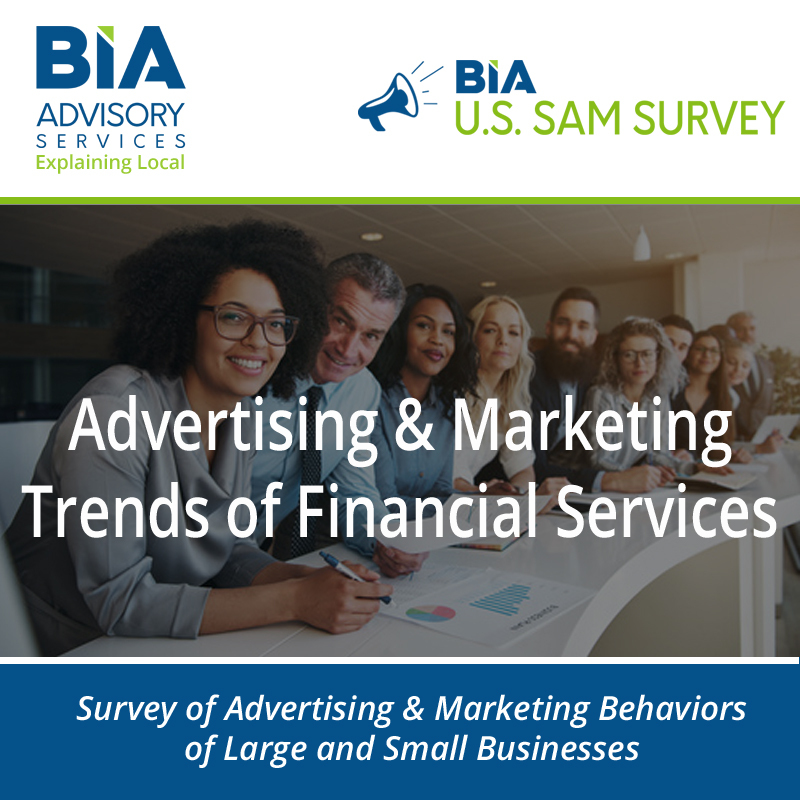 The report also discusses businesses’ opinions about working with salespeople and how they utilize sales people in deciding when and what advertising to buy. The report contains 40+ charts with accompanying sales strategies prepared by BIA’s expert analyst team. If your goal is to navigate and guide your clients to purchase optimal ad products and campaigns, this report gives you the insights necessary to succeed. Who Should Buy Selling to Local Businesses? 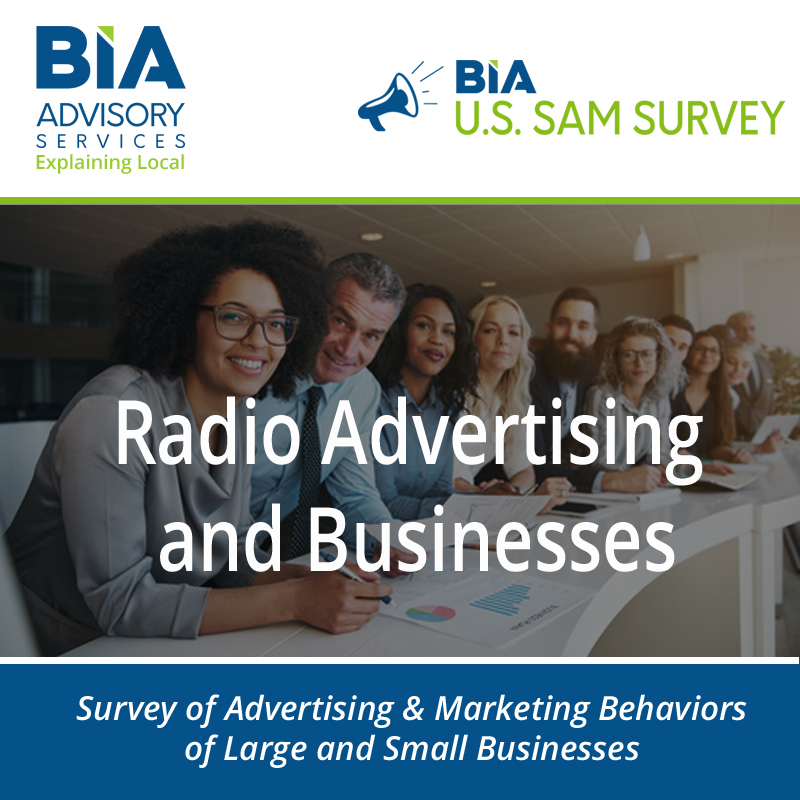 The U.S. SAM Survey is BIA’s proprietary annual survey of all local and multi-location/regional and national businesses that target local audiences in their advertising and marketing. 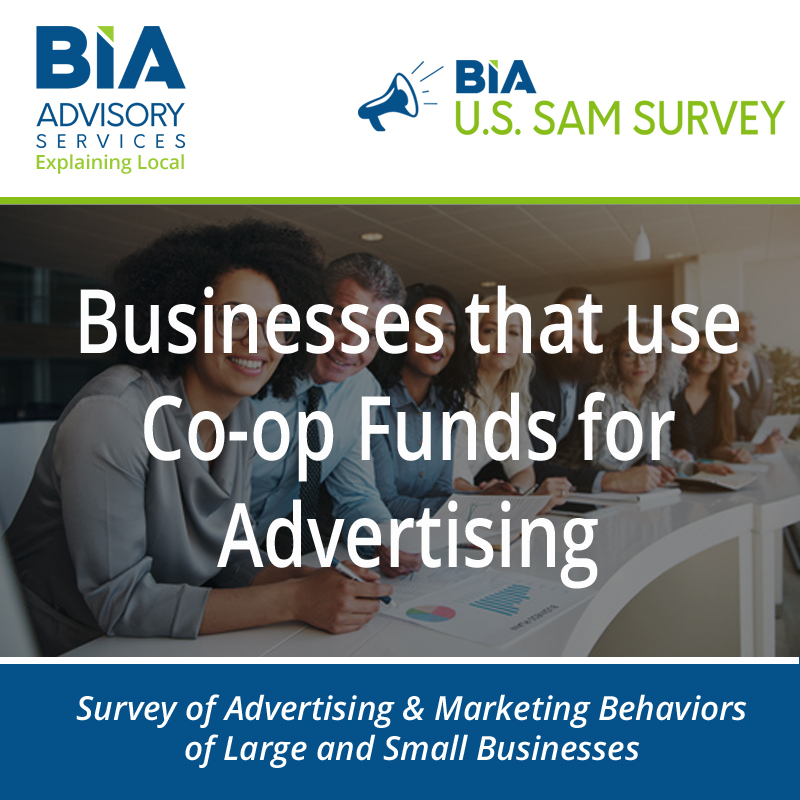 The survey uses a sample of 1,500 businesses of all sizes doing local advertising and promotions, including local, regional and national businesses. 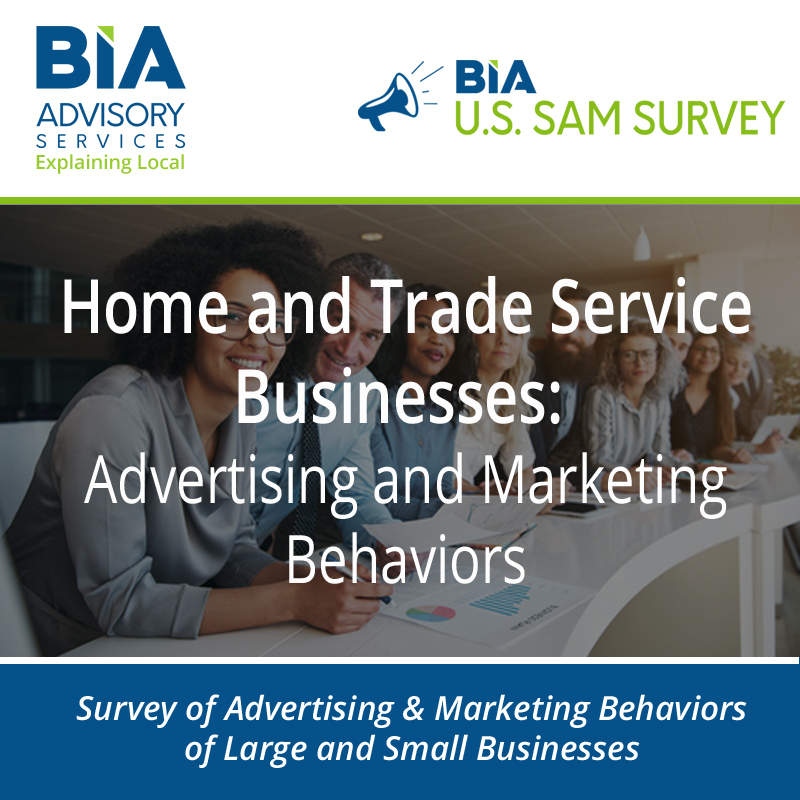 The survey data is available through BIA’s local advertising dashboard, BIA ADVantage, where the full survey can be viewed and exported in a downloadable format. Reports available for individual sale can be viewed here.